Knowledge is the new currency. Without it you are doomed to follow other people’s advice without knowing if it’s good or bad. Knowledge will also help take you from being a “good” investor to becoming a great investor, and that knowledge will help provide a passive stream of income for you or your family. A goal is different from a wish; you may wish to be rich, but that doesn’t mean you’ve ever taken steps to make your wish come true. Setting clear and specific investment goals becomes your road map and action plan to becoming financially independent. You are statistically far more likely to achieve financial independence by writing down specific and detailed goals than not doing anything at all. Your goals can include the number of properties you need to acquire each year, the annual cash-flow they generate, the type of property, and the location of each. You may also want to set parameters on the rates of return required. Always invest with a long-term perspective in mind. Never speculate on quick short-term gains in appreciation, even in a heated market experiencing double-digit gains. You never know when a market will peak and it’s usually 6 to 9 months after the fact when you find out. Don’t chase after appreciation. Only invest in prudent value plays where the numbers make sense from the beginning. With few rare exceptions, always buy investment property with a positive cash-flow. The higher, the better. 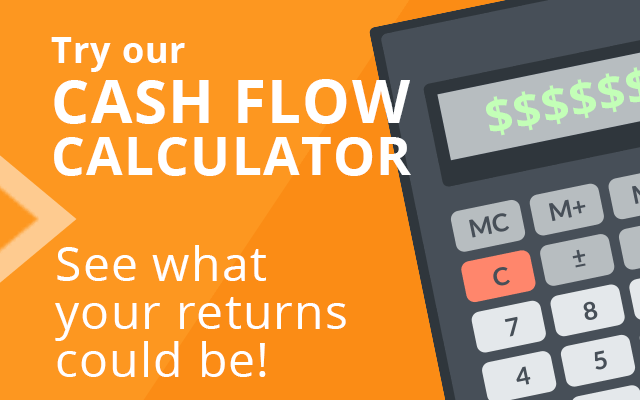 Your cash-on-cash return is directly related to the before-tax cash-flow from your property. Cash-flow is the “glue” that keeps your investment together. Your equity will grow over time (through appreciation and loan amortization), while the cash-flow covers the operating expenses and debt service on your property. The United States is a very large country made up of hundreds of local real estate markets. Each market moves up and down independently of one another due to many local factors. As such, you should recognize that there are times when it makes sense to invest in a particular market, and times when it does not. 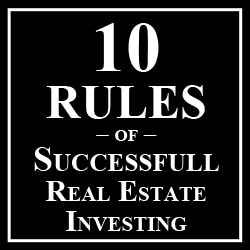 Only invest in markets when it makes sense to do so, not because you live there or you bought property there before. There’s an element of timing and you don’t want to buck the trend. Always start by selecting the best markets that align with your investment goals. Most investors start by analyzing properties with little to no regard of its location. This can be a big mistake if you don’t consider the investment in light of the market and neighborhood it’s in. The best approach is to first choose your city or town based on the health of its housing market and local economy (unemployment, job growth, population growth, etc.). From there you would narrow things down to the best neighborhoods (amenities, schools, crime, renter demand, etc.). Finally, you would look for the best deals within those neighborhoods. Focus on one market at a time, accumulating from 3 to 5 income properties per market. Once you’ve added those 3 to 5 properties to your portfolio, you would diversify into another prudent market that is geographically different than the previous one. Typically that means focusing on another state. One of the underlying reasons for diversification within the same asset class (real estate), is to have your assets spread across different economic centers. Every real estate market is “local” and each housing market moves independently from one another. Diversifying across multiple states helps reduce your “risk” should one market decline for any reason (increased unemployment, increased taxes, etc.). Never manage your own properties unless you run your own management company. Property management is a thankless job that requires a solid understanding of tenant-landlord laws, good marketing skills, and strong people skills to deal with tenant complaints and excuses. Your time is valuable and should be spent on your family, your career, and looking for more property. Be a direct investor in real estate. Never own real estate through funds, partnerships, or other paper-based investments where you own shares or other securities of an entity you don’t control. You always want to be in control of your real estate investments. Don’t leave it up to corporations or fund managers. Real estate is the only investment where you can borrow other people’s money (OPM) to purchase and control income-producing property. 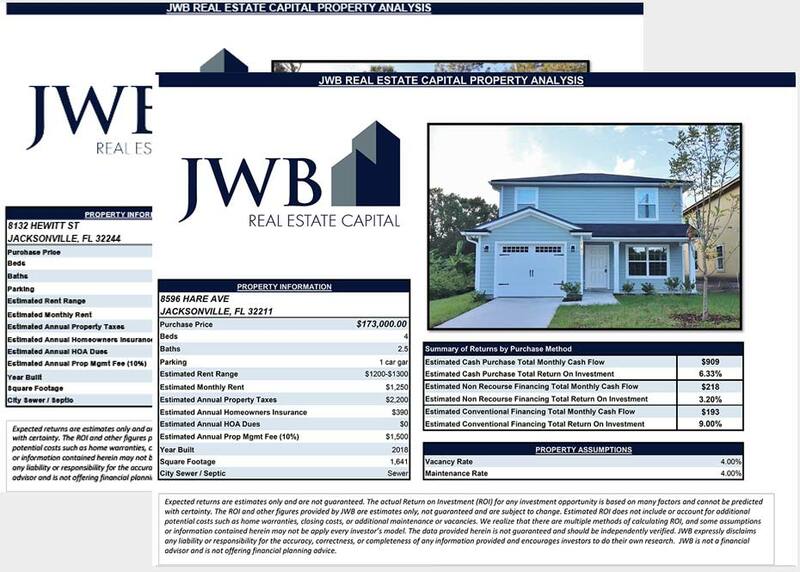 This allows you to leverage your investment capital into more property than purchasing using “all cash”. Leverage magnifies your overall rate-of-return and accelerates your wealth creation. As long as you have positive cash-flow and your tenants are paying off your mortgage for you, it would be foolish not to borrow as much as possible to buy more income property.